Black Friday Xbox deals: 1TB Xbox One S, Forza Horizon 4, Tekken 7, and Project Cars 2 now a ludicrously low £179! 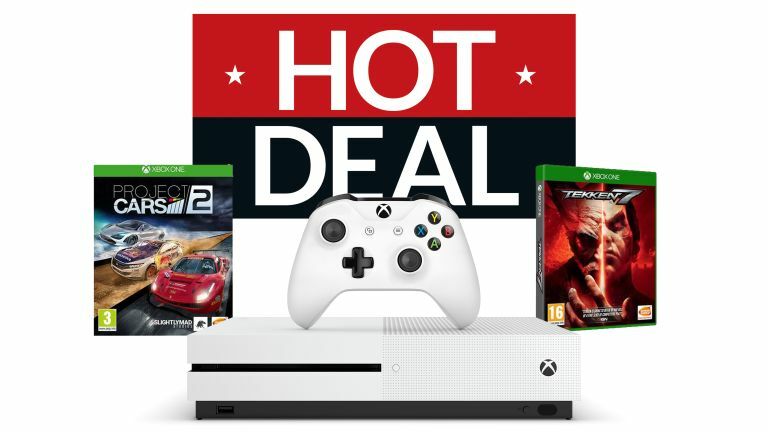 Yes, you read that right, Currys is currently offering the Xbox One S games console along with Forza Horizon 4, Tekken 7, and Project Cars 2 for only £179. £179! Seriously, that is a ludicrously low price point and the best we've seen for an Xbox One S bundle deal this year. Honestly, we feel the pure quality of the deal speaks for itself. An amazing games console with three top game for less than the console on its own normally retails for. Want even more amazing games to play on Xbox One? Well then you should check out T3's awesome best Xbox games guide, which is stuffed to bursting with only the very best titles to play on Microsoft's 4K Ultra HD Blu-ray packing console.